With bite-size food all the rage now in the party business, I couldn't resist to post a few photos of the sweet little caramel apple bites featured around the web like these from A Beautiful Mess. Aren't they scrumptious? And so simple to make, too! 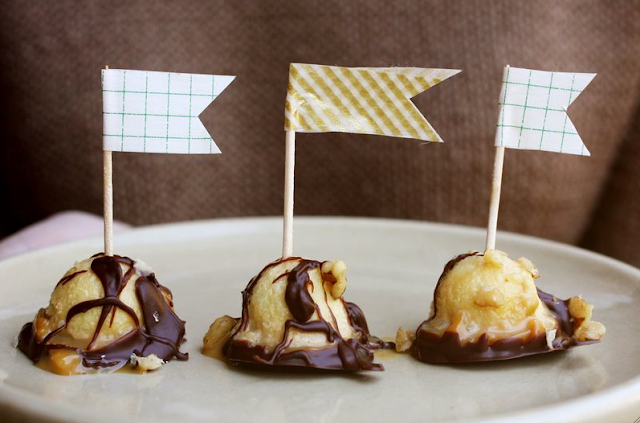 These are Cait's little creations, perfect for a child's after school snack. Or try this easy how-to tutorial from Fine Stationery as seen on Taste of Home. And Courtney over at Pizzazzerie shares a wonderful adult version from Burwell General Store. 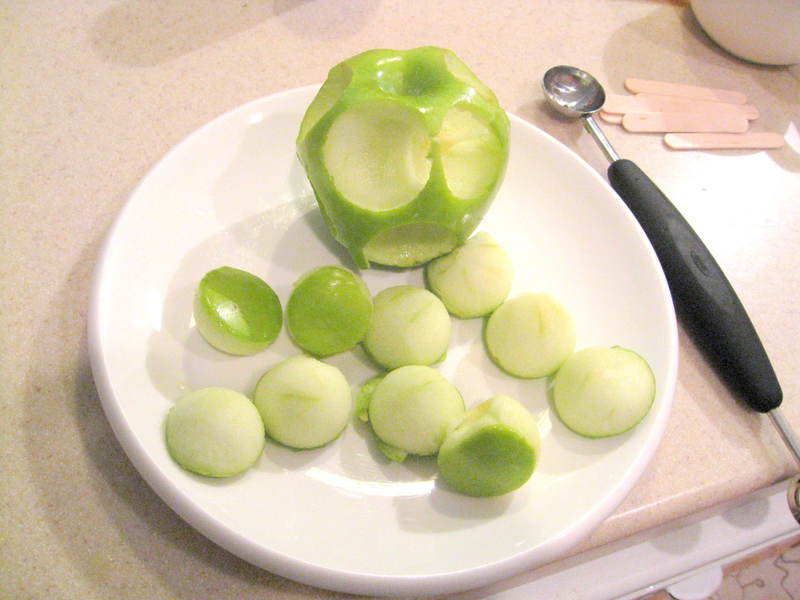 Or try this simpler version from Joy-Making Days, no melon baller required. 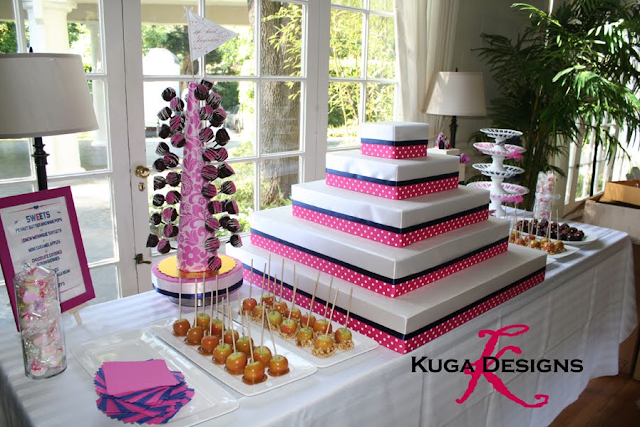 Wouldn't they make a lovely display at a party or wedding reception like on this beautiful table from Kuga Designs? An even better idea? 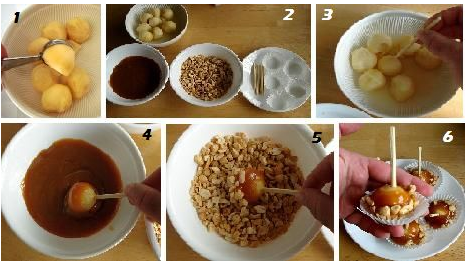 How about creating a whole mini caramel apple buffet at your next party like this one from With this Ring. 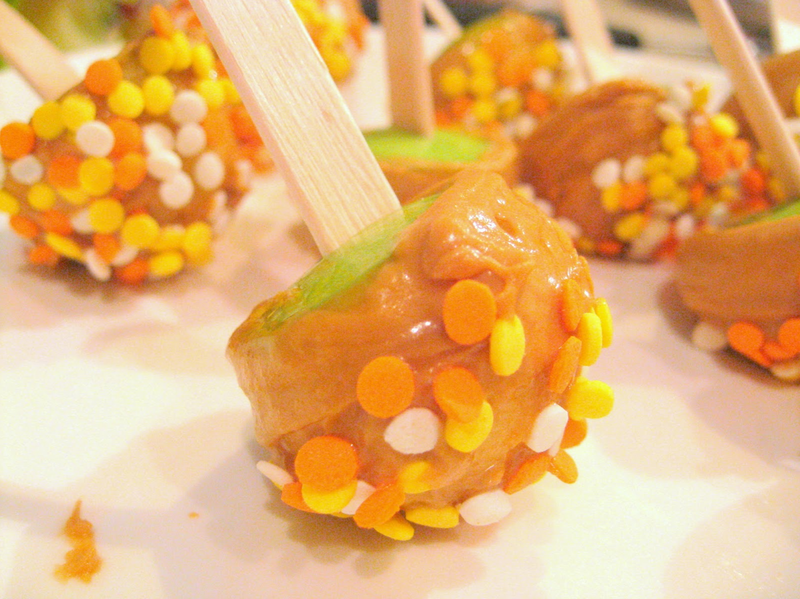 Have your mini apples cut, on a stick and covered in caramel ready for your guests to dip them in their favorite toppings. Yum! LOVE this idea and so easy! 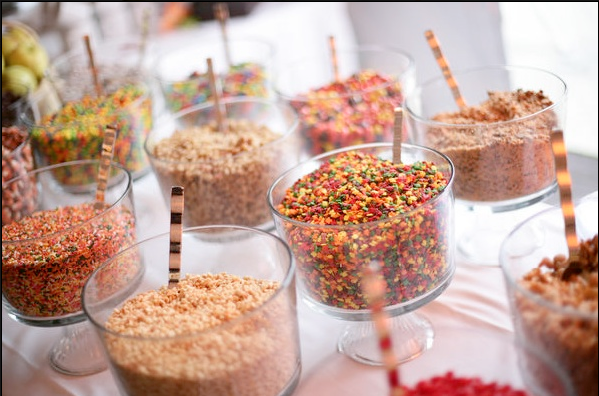 These look so delicious and cute! 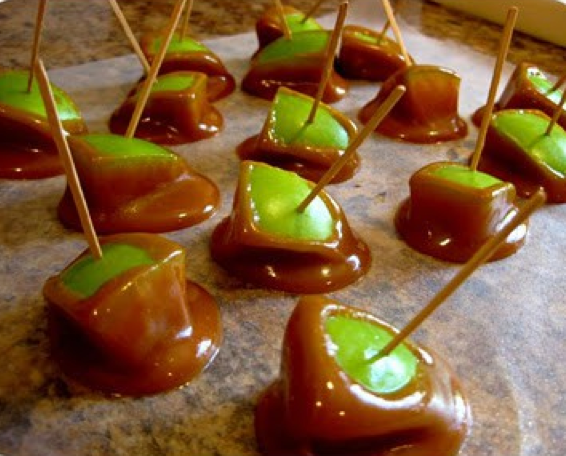 Thank you so much for featuring my mini caramel apple bites!!! I can't wait to try out these other variations. Yum! 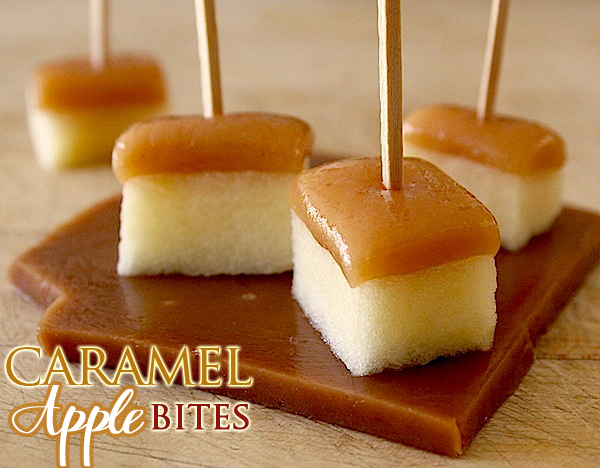 "Caramel Apple Bites" dish is so yummy and most important thing is your arrangement, which is superb. and really delicious look.